Preppy Pink Crocodile: It Snowed And My Phone Is Monogrammed. Well...exactly two things of note happened yesterday. First, like the rest of the east coast, we got snow. I didn't even pay attention to how much but I think it was about 6". It doesn't matter because around 11 pm it started sleeting. And then closer to midnight the snow came down again, but this time it was so heavy that it was predicted to accumulate at a rate of 2-3" per hour. Ending around 6 am. You do the math. It's every bit as awesome as it sounds. Hmph! I know it's February and we are supposed to get snow. But winter has hit me hard this year. Where I normally embrace it for a few months, I have failed big time this year. I am miserable. I need sunshine and green grass and flip flops. Actual, physical needs. So I'm not thrilled with more stinkin' snow. It's annoying. 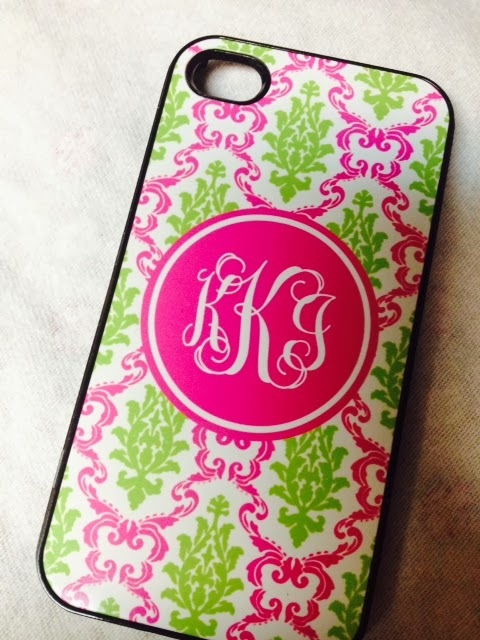 Second, my very first monogrammed iPhone case arrived. I'm still getting used to the fancy phone. I still completely miss buttons. With buttons, I could type with two hands (thumbs). With this phone, I type with one index finger. Less efficient. But it does a zillion more things so I am attempting to let go of a button-less life. Pink and green monograms totally help, of course. Hello adorable! And that concludes yesterday's highlights. Ha. I watched the Olympics like it was my job and commentated (mostly on Twitter) like that was my other job. I take the Olympic games very seriously. But at least it distracts me from the never-ending snow outside. 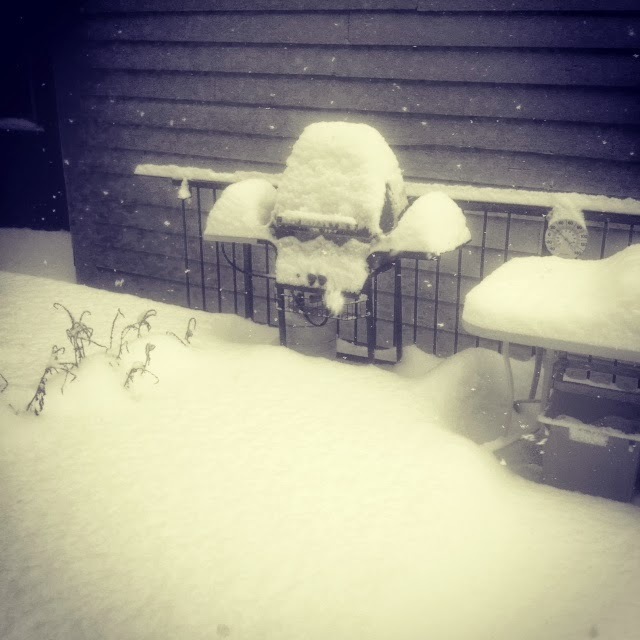 Are you buried under snow, too? Are you more enamored with it than me? Oh I'm with you all the way. We don't have snow, just relentless rain. It's been raining for 2 months now....I'm beyond bored with rain. I too long for flip-flop weather. Bring it on! Love the phone case! Don't love the snow, I'm hoping ours is gone in the next week or so. I want to see the ground, even if it is just brown. Use your thumbs, silly! You'll get used to it! Maybe try turning it sideways at first. I did that when I first switched. If we get any more snow it will bury me! So ready for spring! Enjoy your weekend girly! I love your phone case - it's ADORABLE! that case is too cute! !